Skilled labor migration means more than the loss of individual workers, it means the loss – predominantly from poor countries – of indispensible tools for economic development and poverty alleviation. Sadly, it also does little to address labor shortages in wealthy, receiving nations: The in-migration of foreign health care workers merely serves as a smoke screen in developed countries, giving the appearance of a less severe shortage and allowing policymakers to ignore growing discrepancies between patient demand and health care labor supply and delay making the necessary investments in education that are required to address current and projected shortages. It’s a lose-lose situation. But make no mistake, skilled labor migration, and most notably health care labor migration, is here to stay – unless creative policy changes are undertaken globally. 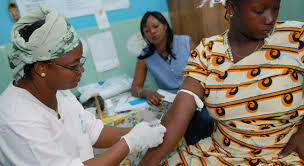 Worldwide, there is a shortage of about 4.3 million health care workers. What does this mean in practice? Currently, in developing countries, basic needs related to HIV/AIDS and maternal health cannot be met, even at minimally acceptable levels. In Sub-Saharan Africa, for example, even if enough anti-retroviral therapy were made available to treat those in need of it, there would not be enough health care workers to provide it to patients with HIV/AIDS. In too many parts of the world, there are not enough skilled health providers to ensure that a skilled attendant is present at 80% of births. At least as bad as the direct clinical impact of health worker shortages – and perhaps worse in the long term – is the loss of skills and knowledge transfers. In sending nations, though labor shortages affect health care delivery capacity, they do not do so as significantly as the numbers might suggest. Even without out-migration, these countries experience severe health worker shortages, especially in rural areas. Migration merely exaggerates an already desperate situation. Not only must these nations address the loss of individual workers, they must also figure out how to recoup the loss of the knowledge and skills those workers would have transmitted to the next generation. Far too many of the debates around skilled labor migration, and most notably health care worker migration, are couched in terms of economics, markets, wages, and personal return on ‘educational investments and costs’, or they are placed in a duty to care framework which entails meeting responsibilities to those most in need. It is time to move beyond the moral and normative arguments about health care labor migration and the economic justifications for such migration. Those debates are interesting, academic, and highlight a fundamental issue in the global discussion of “who gets what,” but they are short on real-world relevance. The pressing challenge for sending nations is to put in place polices that incentivize migrant health care workers to stay in the first place or to give back, beyond remittances, to their country of origin. These include enhanced worker safety, economic packages that provide a reasonable standard of living, educational and labor market opportunities for family members, and access to ongoing continuing education. In addition, there must be mechanisms in place that ensure the economic stability and solvency of health care facilities and programs. •	A national plan for investment in technology such that individual health care workers who stay have immediate and easy access to migrant health care workers willing, and able, to serve in real time resource and consultant roles. This plan will reinforce sustaining interpersonal relationships among providers and knowledge transfer, even if the migrant health care worker is on the other side of the world. •	A set of policies and monetary support that allows local medical schools, clinics, hospitals, and providers to arrange contracts with migrant health care workers. These contractual relationships would involve teaching, telemedicine, and advisory activities all done in real time. Finally, while sending countries need to focus on policies aimed at harnessing and applying knowledge and skills loss to migration choices, they also must focus on the conditions and policies that have made it possible to maintain some of their health care workers. While these countries are designing and implementing policies to capture what is lost, they also must focus on and reinforce what they are doing right such that they have kept some health care workers from migrating. “Worldwide, there is a shortage of about 4.3 million health care workers.” – Are you arguing that supply and demand principles do work in other areas, like when General Motors needs welders, but not in health care? This would be a new law of economics and worthy a Nobel Prize … if it were true. These migrants come to other countries because either they get no job at all or one that is underpaid from where they come. And the people in the country they migrate to obviously do not want to work in these professions (in sufficient numbers), for whatever reason. Now, if General Motors needed welders and couldn’t find them – would you argue for “clever” politics to create more welders?